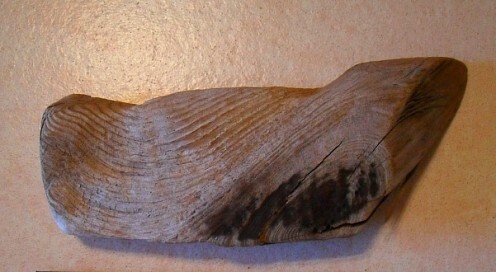 The powerful waves of The Great Lake Michigan are a driving force in the slow creation of beautiful pieces of driftwood. 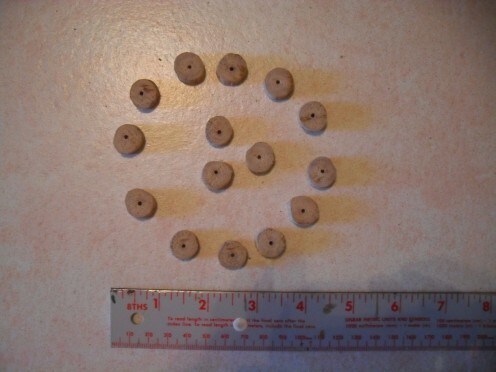 After the wood was sun dried it was re-purposed in the studio, making beads for jewelry supplies. The wonder of the driftwood has captivated this artist for over 30 years. Time and again I have walked the beaches, from the Indiana Dunes to Chicago's Magnificent Mile, combing the Lake Michigan shoreline. My eye's peeled, seeking that one of a kind piece of wood. I use the driftwood in many of my creative designs. My all time favorite crafty projects are in making driftwood art. I am inspired to re-purpose materials for artwork keeps me going green. 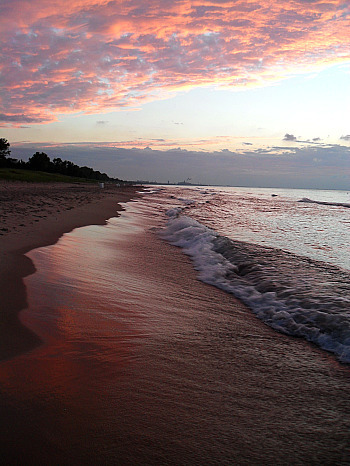 Much of my life I have spent living near the South Shore of Lake Michigan. That is where my love for the rolled and tumbled, tossed and turned, driftwood started. I also have found myself far from my home land, without driftwood to wood burn, paint and glue. It never stopped me from thinking about the wonderfully textured pieces of wood I do so love. Over the years I began collecting and keeping driftwood at hand, to use when that creative urge came calling. Having driftwood available to make driftwood art was deemed a must. Recently I relocated my Adrift Art Studio to Las Vegas Nevada. It is actually in Henderson, NV which is just a few miles from Las Vegas. I brought some driftwood along with the rest of the studio supplies. Adrift Art Studio would be a sad place without a stockpile of driftwood. It was only a matter of weeks before my stock of driftwood seemed to be running short. I knew I would be headed back to Chicago within a few months of the move. I wasn't too concerned about the shortage. I would be sure to include some beach combing when I returned. Lake Michigan would be there waiting for me to gather driftwood from her shore. A simple piece of driftwood can be fashioned in to a snake. This is a good project for beginning pyrographics. Wood burning driftwood art is top on my list of things to do with raw driftwood. I loaded up several containers while hunting for driftwood this summer. The Chicago weather was perfect when I made the trip. Upon returning to Las Vegas I got myself busy making driftwood art so I could stock up the Adrift Art Studio shop on Etsy.com. That is a work in progress. My driftwood supply allowed me to get started making seasonal decorations for the up and coming holidays. I even found I had more driftwood than I would probably use. It made me stop to consider how blessed we all are by the bounty of Mother Nature. Much of my recent artwork reflects my concern for our environment. The mere pleasure of holding a smoothed piece of driftwood in my hands always causes me to reflect on the state of our Mother Earth. We seem to be pushing our demand for supplies found on the Earth to the brink. It comes out in my artwork in many ways. One special thing is the re-purposing of driftwood in my artistic designs. We need to take care to recycle and re-purpose much more than we do. Working with the driftwood is one way to conserve. Using an otherwise wasted product lends a hand to help the environment. My stock of driftwood supply is looking sweet from that point of view. Recycling the driftwood into my artwork makes me feel better as it is one little way to help the environmental cause. I also like to add additional found objects that are re-purposed into my artwork. With a bit of imagination there are many things that can be re-purposed and work well with the driftwood. One can have hours of creative fun experimenting with mixed media and driftwood. It is a great way to work on going green. 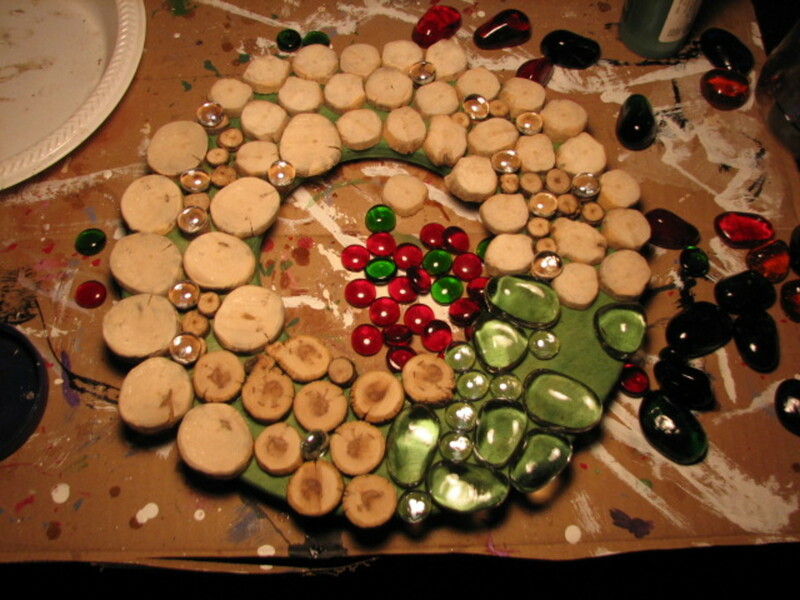 In the art studio beads are cut and drilled from lengths of driftwood. Each bead is handcrafted and grouped for the supply. 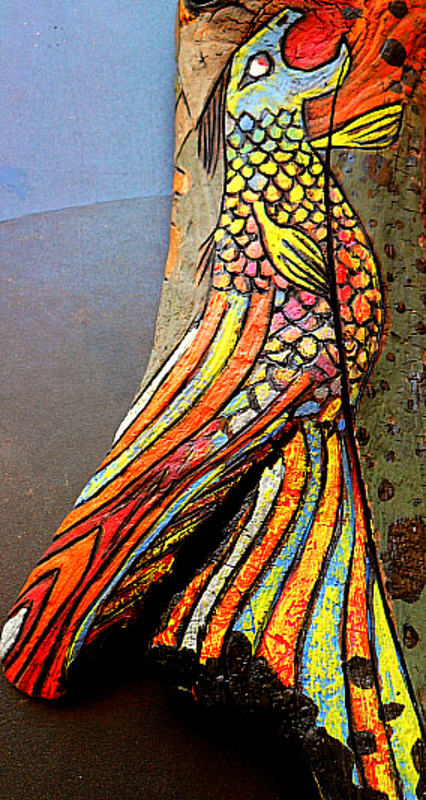 Pyrographic techniques lend enhanced visual appeal to the natural grain of raw driftwood. Combining paint to create mixed media artwork is another technique that really brings out the imagined form of the artwork in progress. Combining driftwood with other art techniques is so much fun. I like to imagine the driftwood as the work in a raw form. I then add other artistic techniques to develop what has been imagined. Wood burning or pyrographics is a great way to draw lines into the wood. Following the grain with the wood burner enhances the grain. Texture and depth can be added with this technique. It gives the wood feeling to touch and makes for a most interesting finish. Before I actually thought about what I was doing, I was going green with mixed media artwork made from driftwood. It just came natural to me. 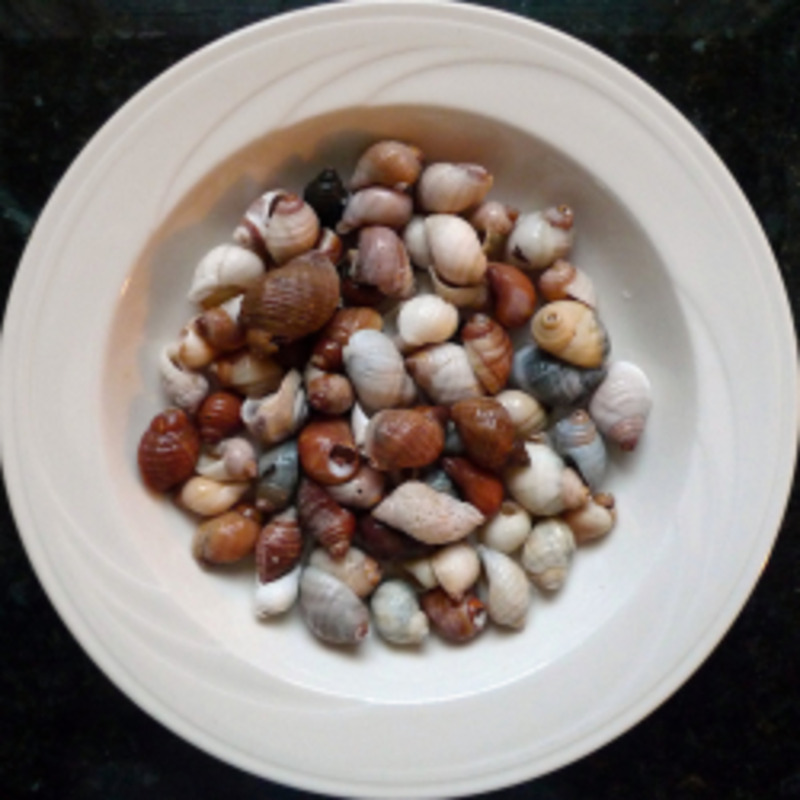 Using found objects collected on the beach made my projects more interesting.It is something I will suggest to everyone to give a try. Going green is a challenge I would like to see all artists attempt. I have to admit I was going green with driftwood art and mixed media over 30 years ago. That was probably before the term "going green" caught on. Now it seems to be something more artists should consider. In the wake of the Gulf Oil Spill I feel motivated to stress the issue of going green and protecting Mother Earth. My favorite way to color driftwood is with acrylic paints. I like acrylic paint because of the variety of ways it can be used. Acrylic paint dries rapidly too. 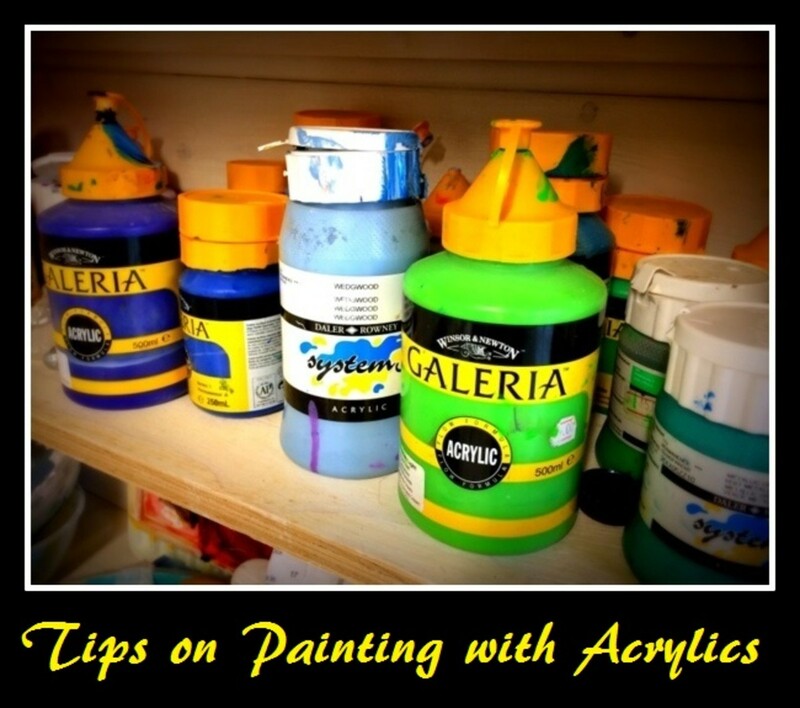 The acrylic paint can be washed on very thin so the wood grain shows through. This is done by adding lots of water to the paint to make a wash. Different colors can be washed over each other just as the technique is used when painting with water colors. Some very nice finishes can be achieved with this method. The paint can also be applied very thick to get solid blocks of color. Then there is everything in between the two methods of paint application. Adding some color or just a bit of color for high lighting depends on what finish is wanted in the completed driftwood art project. Experimenting with different painting techniques is the best way to learn. 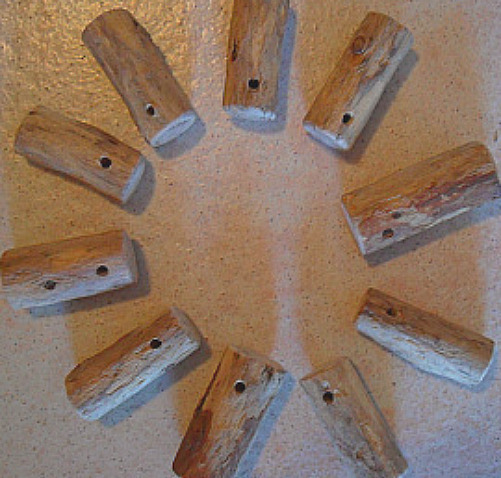 These small pieces of driftwood are drilled and ready to be imagined into unique, one of a kind finished designs. Driftwood pieces can be made in to unusual pieces of jewelry with a bit of imagination. 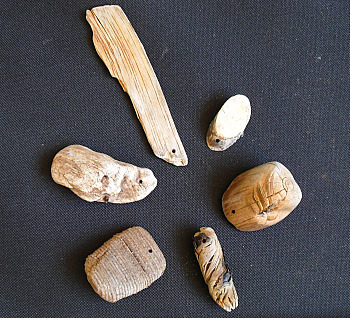 I have used driftwood for many kinds of creative jewelry from pendants to beads. The wood can be used with additional findings to add interest to the design. There is no limit to what can be done with small pieces of driftwood. The best part is that Mother Nature offers the driftwood as an individual, one of a kind supply to start with. All we have to do as artists is add our own imagination. I use a drill and dowel rods along with the glue by attaching the pieces where they connect with the dowels. I would love to know the best way to attach pieces of driftwood together. I have tried so many glues and none of them work for a permanent hold. Thanks for any info. No I Have never had the chance but I am sure it is rich with plenty to pick from. neat stuff you do. Have you ever tried checking out the Northwest coast for driftwood? You're so resourceful with crafting ideas. I've always loved driftwood but almost never find it. Which is weird since I live on the coast of California. You'd think I'd be up to my eyeballs in driftwood. Good job! I have a cabin on the salt water of Random Sound, Trinity Bay NL...and a fair amount of driftwood at times...you have me thinking now. I admire people who can create something beautiful out of nothing, like driftwood. It is amazing. I love to see that other people have the passion for driftwood as to I. Taking a piece of wood off the beach and turning it into a keepsake such as a lamp, a table, a mirror or candle holder has such an inner reward! I know that more people would love the driftwood if they took time to look closer at it or were exposed to it. Probably some people have never held a fine piece of driftwood in their hands. Thanks for visiting. If you ever get into your supply, please share your creative results. Driftwood, is such a creative source of art form:) I recently seen some beautiful framed pictures of art, put together by a Male artist. So for the first time, I too gathered many pieces of driftwood...haven't done anything with it yet. Can't wait to dig into it, to see what can come of it:) Loved your driftwood beads, those are pretty cool:) Be fun to stain some color into those? Great Subject for Hubpages! Thanks so much for reading my hub. The truth is the past couple of months I have been blasted with a driven purpose that has me working at my art and a higher level. I am blessed for the time and inspiration to work. Thanks again. You've inspired me with your driftwood projects long ago. It's great to see that you are still passionate with it.